Despite its compactness, the cabin remains very spacious and comfortable with adjustable and suspended seat, adjustable steering wheel, heating/ventilation. 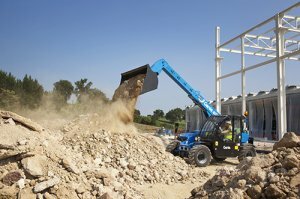 Interchangeable, common components, plus easy no-tool access to daily inspection points make Genie® telehandlers as straightforward to service as they are to use. Subscribe to FillisLift.gr newsletter and get informed about our latest news and more!